On Friday February 15th, help the CCMA and Future Cannabis Project bring the cannabis community together for a fundraiser to benefit victims of the Woolsey Fire in Malibu. The evening kicks off with a four course dinner by cannabis Chef Holden Jagger followed by a party with music and DJs in a beautiful venue in downtown Los Angeles. Tax deductible proceeds will go directly to the Malibu Foundation, a non-profit working to assist in recovery for victims of the Woolsey Fire. Ganjapreneur (February 4, 2019) The Maine Department of Health and Human Services (DHHS) is limiting the sale of edible CBD products in the state to medical cannabis dispensaries only, citing statements made by the FDA following the 2018 farm bill’s passage. Health inspectors started informing businesses last week that they needed to remove all edible CBD products from their shelves — even the dog treats. Interestingly, products that are consumed by smoking and vaping or that are used topically are not affected by the ban. New York Eater (February 4, 2019) A Gramercy Park neighborhood restaurant and bakery says that the Department of Health forced it to stop selling food with CBD, embargoing cookies and other pastries containing the legal compound derived from cannabis. Fat Cat Kitchen’s co-owner C.J. Holm says that officials with the health department bagged up about $1,000 worth of cannabidiol (or CBD) edibles on Friday morning during a routine inspection, putting them in a zip-lock bag and marking them as “embargoed.” Holm is still in possession of the items. Cincinnati.com (February 4, 2019) State and local officials have begun cracking down on Ohio retailers selling products infused with cannabidiol, otherwise known as CBD. The Ohio Department of Agriculture is working with health departments and police agencies throughout the state to “embargo” products containing CBD, according to a statement from the Cincinnati Health Department. Enforcement officials said they were acting in accordance with the state law establishing Ohio’s medical marijuana program, which strictly prohibits CBD sales outside the state’s 56 licensed dispensaries. Marijuana Moment (February 5, 2019) Former California Gov. Jerry Brown (D) is holding strong to his often-expressed negative view about marijuana consumers, saying in a new interview that they are lazy and that legalization is “purely for pleasure.” Brown was reluctant to embrace legalization because the notion of ending marijuana prohibition gave him a “vision” of “America all just sitting back there and taking a drag,” he said, pantomiming someone slumping in their chair. He compared that to the work ethic of Chinese contractors he saw burning the midnight oil to erect a building during a trip to that country. Edhat Santa Barbara (February 4, 2019) On January 31, 2019, the Santa Barbara County Sheriff’s Cannabis Compliance Team concluded a four-month investigation into a local cannabis cultivator, operating under the name of Power Farms LLC, which is located just outside the City of Carpinteria. There, Detectives seized several unregistered firearms, two which were reported stolen, as well as approximately 60 pounds of processed and packaged marijuana taken from Power Farms. They also seized thousands of dollars in cash and other items of evidence. Visalia Times Delta (February 4, 2019) The cannabis industry is taking strides forward. Locally, smaller cities are working to get their hands on the money being made off marijuana sales taxes and fees. Farmersville City Council announced coming changes to the city’s current cannabis and zoning ordinances. The current ordinance set the number of licenses to one per 10,000 residents. There are five applicants currently going through the process for the first permit. Marijuana Moment (February 5, 2019) Newly empowered congressional Democrats reportedly plan to hold a House hearing next week on marijuana businesses’ difficulties accessing banks—signifying renewed momentum for cannabis issues on Capitol Hill following years of blockades by the former Republican leadership of the chamber. Politico first reported on Monday night that the House Financial Services Committee was planning a hearing on the topic, which cited “sources familiar with the matter” as saying it could be scheduled for Wednesday, February 13—though nothing is formally on the calendar yet. CNBC (January 4, 2019) Wall Street is discovering a unique set of hurdles as it explores the possibilities in cannabis. Those hurdles are in the form of lending restrictions, disagreeing local laws and their own internal company firewalls as banks rush to cover that new and growing market. It is a market that could one day be worth $150 billion globally when including the different derivative products like CBD-infused beverages. Other challenges for Wall Street include the flurry of federal regulations that currently deter banks from working with legal dispensaries in the U.S. and mandate that banks and other financial firms file “suspicious activity reports” to help monitor money laundering. Forbes (February 5, 2019) The majority of US states now have medical or recreational cannabis use allowed, and each one has its own specific regulations. In Florida for instance, medical marijuana is available for a small specific list of ailments, and only oils which can be vaped, tinctures, sprays and edibles are allowed. Smoking is not. In California, physicians can recommend cannabis for any ailment they feel it could help, and in any form. Beyond disagreements among state entities, the need for clarity means state rules and regulations need to be carefully written. CNBC (January 5, 2019) As more states legalize cannabis usage, the industry that provides the drug has gotten a burst of confidence in its long-term prospects and is rapidly expanding. Job openings rose 76 percent from December 2017 to December 2018, with 1,512 open roles posted in that final month of 2018 alone, according to Glassdoor. Back in 2017, that number was only 858. U.S. News (February 4, 2019) A study finds chronic pain is the most common reason people give when they enroll in state-approved medical marijuana programs. That’s followed by stiffness from multiple sclerosis and chemotherapy-related nausea. The study didn’t measure whether marijuana actually helped anyone with their problems. But the patients’ reasons match up with what’s known about the science of marijuana and its chemical components. About 85 percent of patients’ reasons were supported by substantial or conclusive evidence in the National Academies report. Civilized (February 4, 2019) Cannabis isn’t naturally grown indoors. Like nearly all agricultural produce, it needs a healthy dose of organic soil, fresh water, and of course, sunlight to flourish. But when reefer madness hit the United States — and helicopter raids on outdoor pot farms became a legitimate threat — many farmers were forced to move inside, lest they risk imprisonment. Cannabis users are beginning to care more about the environmental impact of their usage as well as the quality of what they’re putting into their bodies. At this point, the sungrown movement feels similar to the organic movement in the early 2000s. Marijuana Business Daily (January 5, 2019) The head of an Oregon marijuana trade group hopes to convince state legislators to permit local cannabis companies to export crops and products to other states, but MJ attorneys said the plan faces huge legal obstacles. To shrink Oregon’s massive marijuana surplus, Adam Smith, the founder of the Craft Cannabis Alliance, is working with state lawmakers to pass a law allowing licensed cannabis companies to ship to other states with legal MJ programs by 2021. Moreover, the amount of coordination that would be needed between agencies in Oregon and other states to enforce the export plan would likely prove to be a massive, and perhaps impossible, task. MarketWatch (February 3, 2019) A company has filed a lawsuit against Idaho State Police and Ada County after authorities seized nearly 7,000 pounds of cannabis from a truck headed to Colorado, the Idaho Statesman reported. Authorities who stopped the truck said it was filled with marijuana, but Big Sky Scientific LLC, which was shipping the product to Colorado, said in the lawsuit that it’s industrial hemp, which is now legal under the recently passed U.S. Farm Bill. Hemp is a non-psychoactive cousin of marijuana. Both hemp and marijuana are cannabis plants. WSMV (February 4, 2019) Tennessee State Sen. Janice Bowling (R-Tullahoma) introduced a bill on Monday that would pave the way for legalized medical marijuana across the state. If passed, the Tennessee Medical Cannabis Act would create a framework to allow “qualified” patients to access medical cannabis on a regular basis, as well as regulate the process of licensing growers to cultivate, produce, distribute, transport, sell and acquire marijuana for medical use and scientific research. 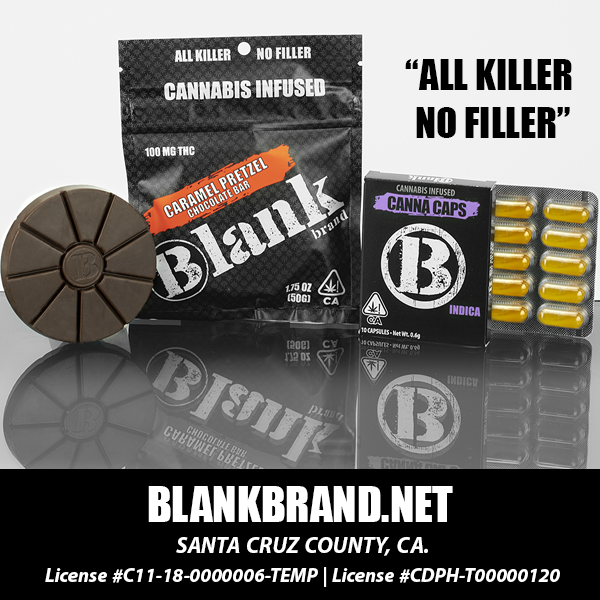 Copyright © California Cannabis Manufacturers Association | All Rights Reserved.